We invited a houseful to our Thanksgiving dinner and post-dinner dessert, so we took a few minutes to make sure the table and the house looked as nice as it could. 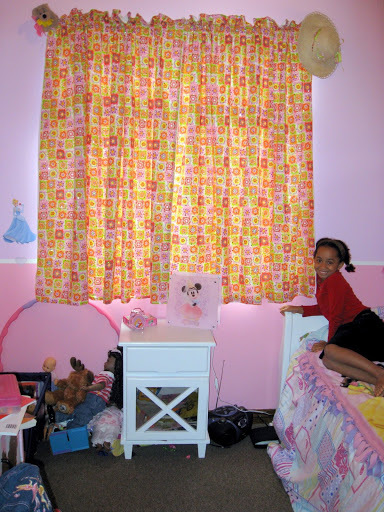 Anna's curtains finally got put up with a little creative use of curtain rods and household decorations…she really knew what we didn't –the curtains look perfect, and she's on her way to becoming an interior designer! Thanks again to those who made it a princess dream room! 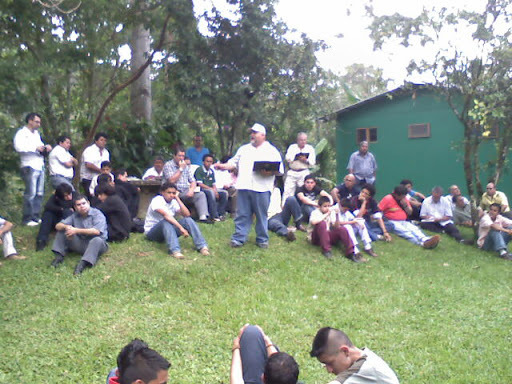 The women are meeting inside and the men are out listening to Tony, the new president of the EFC Costa Rica here. He is talking about how these pastors can make their churches more men-compatible. Even though it has rained all night for the last several days and a fine mist (pelo de gato) of drizzle continues, we made the most of yesterday afternoon by walking the dog near a local Christmas tree farm. Last year, the gringos from N.C. did not know that one reserved a Christmas tree well in advance of our Thanksgiving. This year upon seeing car after car with arboles de navidad (Christmas trees) on top of their car roofs, we were prompted to act before all of the best trees were gone and before the only ones remaining were out of our price range. This year we have a much taller tree waiting with our name on it for a smaller price than last year—it is so wonderful to know the culture, rudimentary, though not advanced Spanish and the locals. Please join us in praying for our neighbors who will be invited to our annual Christmas Day open house—that they will come from behind their fortressed walls and razor wire, experience the love of Christ in simple hospitality and that Christ will begin to remove the walls in their hearts this Christmas season! Happy Thanksgiving! It’s cool, it’s overcast, and it’s rainy, but Rio is wonderful. These are the men from our Rio de Janeiro team. Sorry wives, only one of you was here and we needed someone to take the picture! It’s amazing what a good night’s sleep will do to clear the mind. Even with some very involved personnel meetings and group meetings the day was invigorating. Later, after a short shopping stop (can’t tell what…it’s almost Christmas after all), I found myself sipping coconut milk from a chilled coconut standing on the beach and watching some amazing surfing waves crash down. The weather is cool for this time of year, maybe high sixties with a stiff breeze and everything is verdant green with incredible scenery and views. I forgot to bring the camera along to the beach, so I’ll try to grab some shots over the next couple of days and post them here. Twenty-four hours of travel with no sleep got me to Brazil this morning and shortly thereafter, a nice nap! It’s Spring here, the birds are chirping and the next door neighbor has been practicing on his drums for the last twelve hours (today is a holiday). Rio de Janeiro is a huge city of over ten million people, gorgeous views and lots of life. 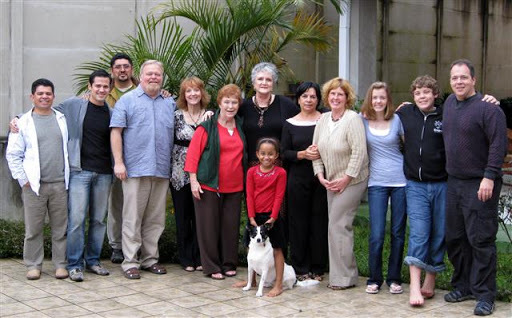 As I meet with our missionaries and Brazilian partners please pray that the time will be productive and encouraging. Great things are afoot!